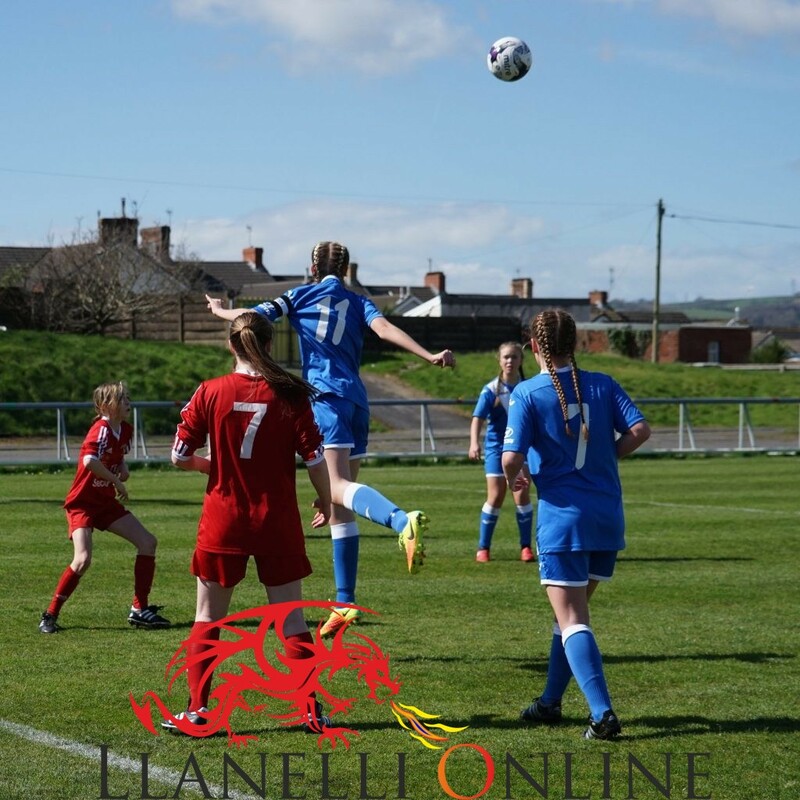 The 200 plus crowd who turned up to watch the FAW Girls Under 16’s Welsh Cup Final game at Stebonheath today, Sunday (Apr 2) really got their money’s worth from a very entertaining match between Rhydyfelin (blue) and Newcastle Emlyn (red). 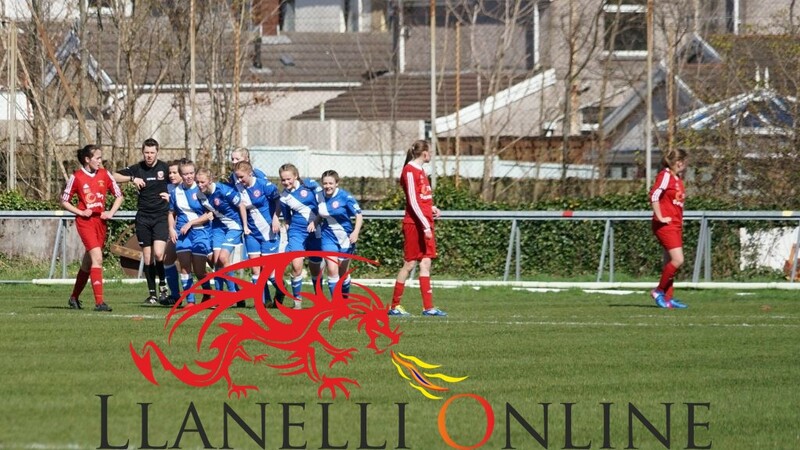 As the girls lined up for the Welsh National Anthem in glorious sunshine the scene was set for a battle royale. 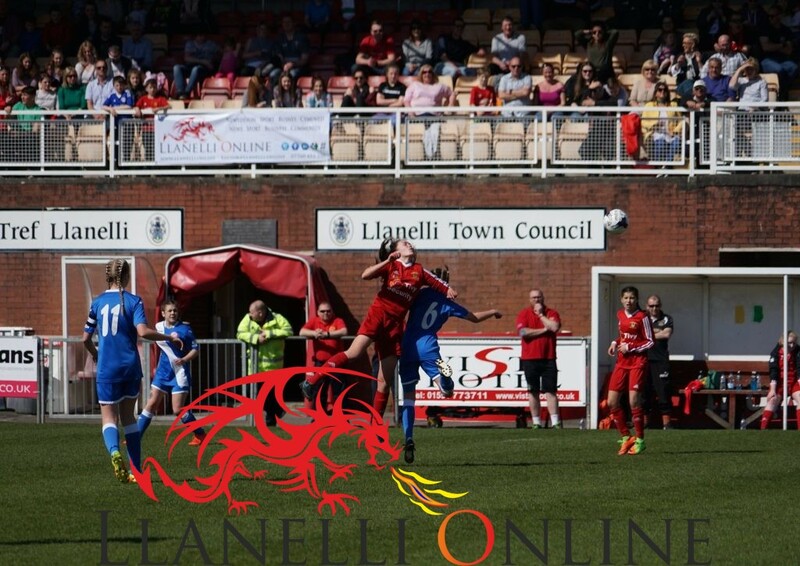 The pitch though heavily used over recent weeks was in excellent condition. 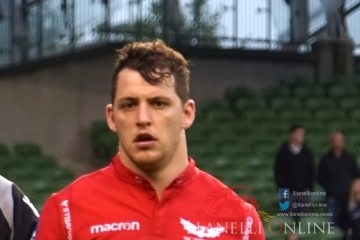 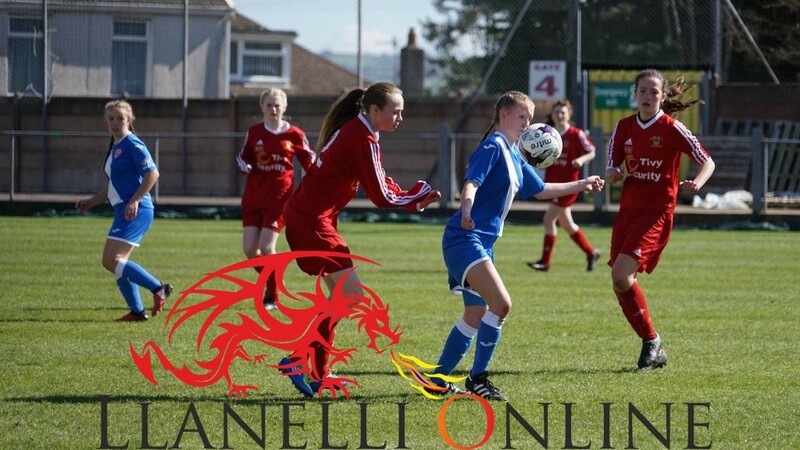 Rhydyfelin enjoyed much of the possession during the opening exchanges but after seeing Zara Payne’s cheeky lobbed effort saved by Saran Jones before being cleared off the line, Newcastle Emlyn made them pay. 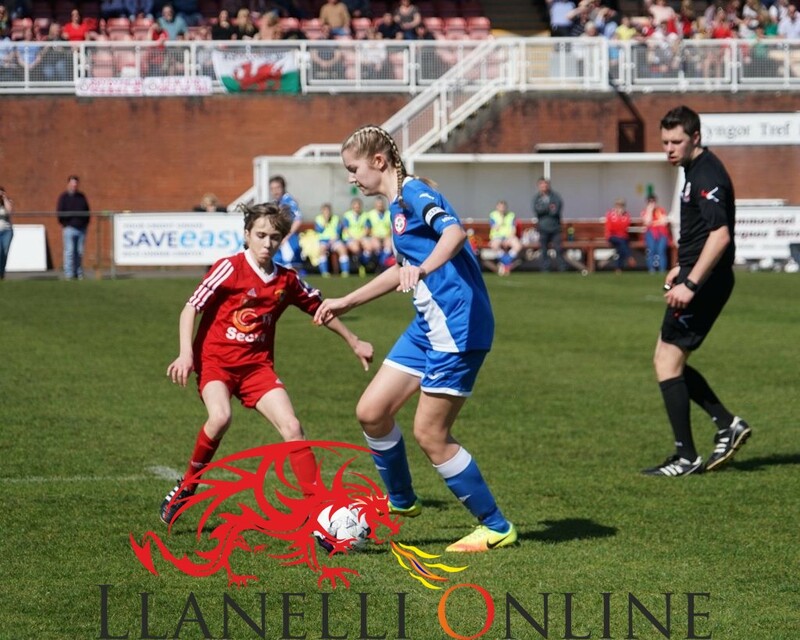 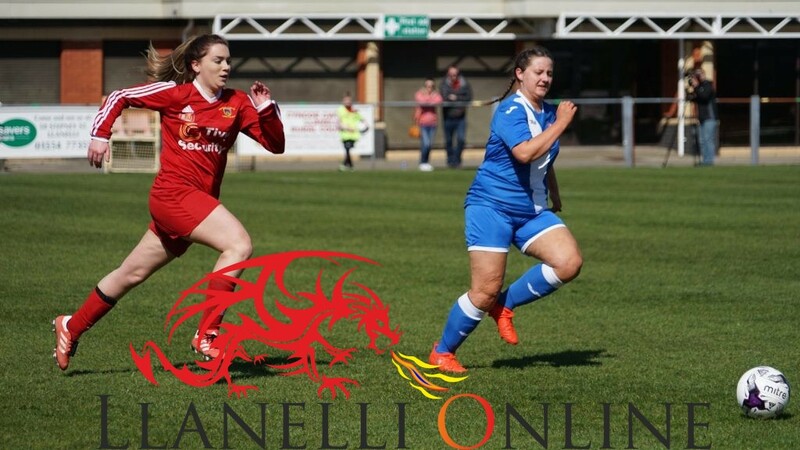 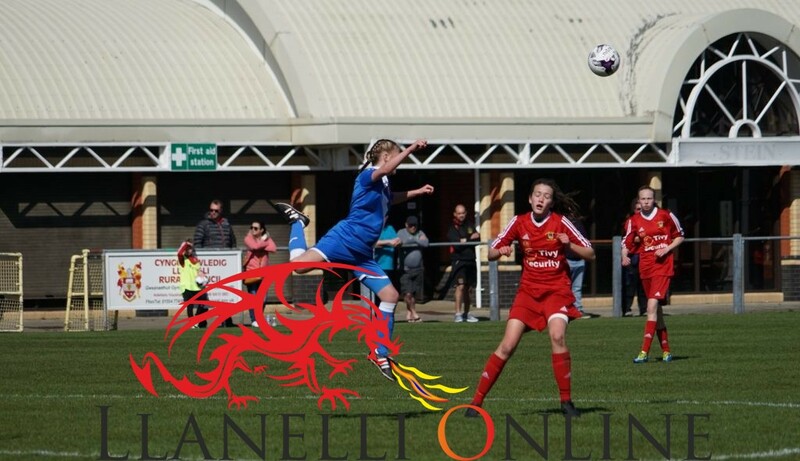 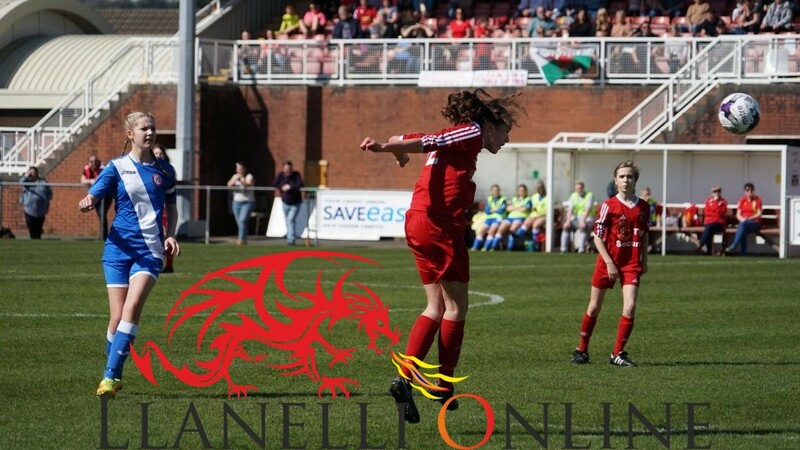 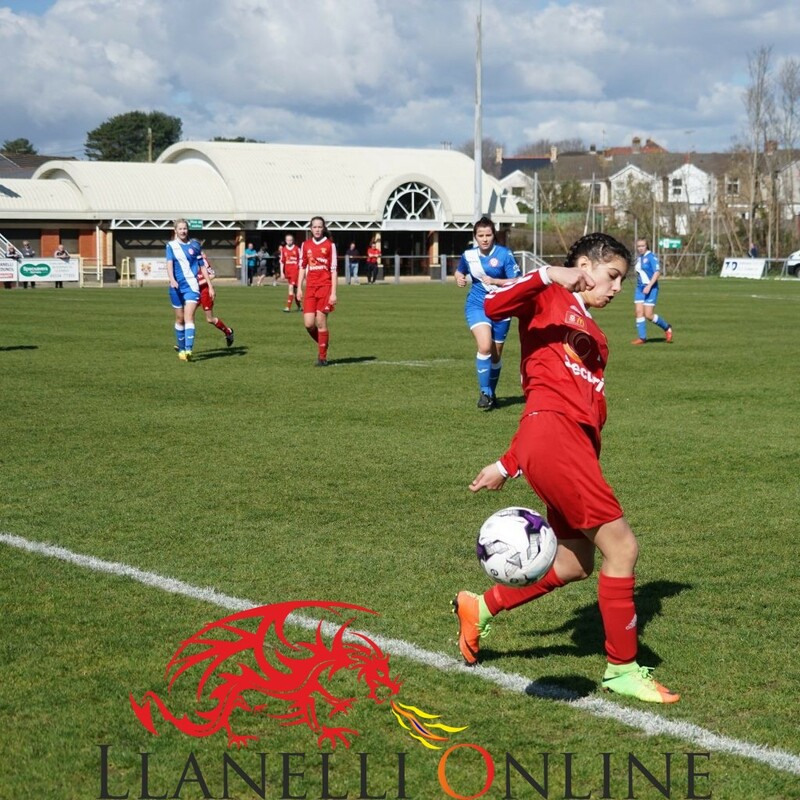 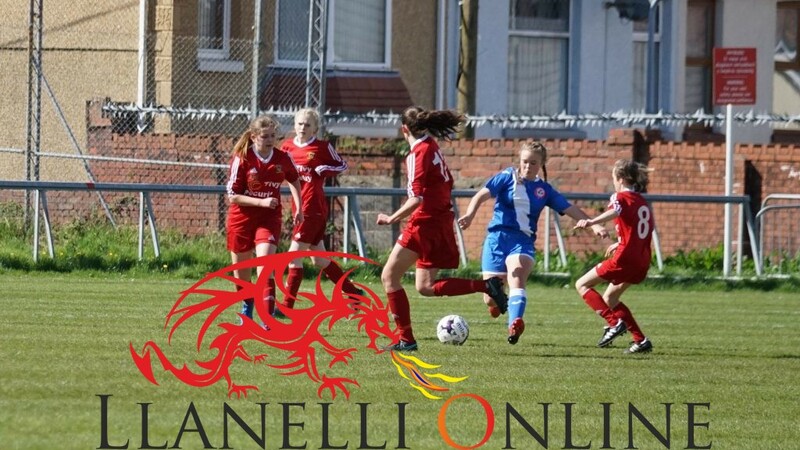 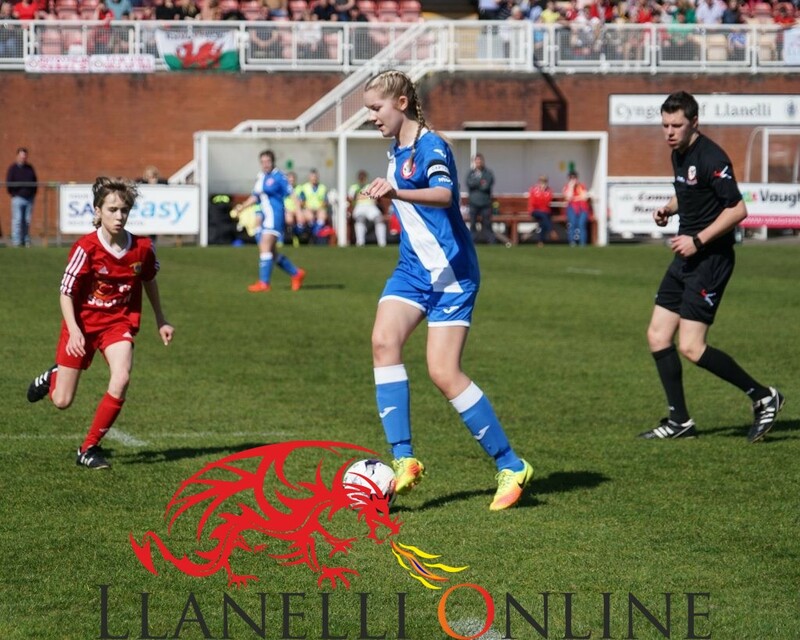 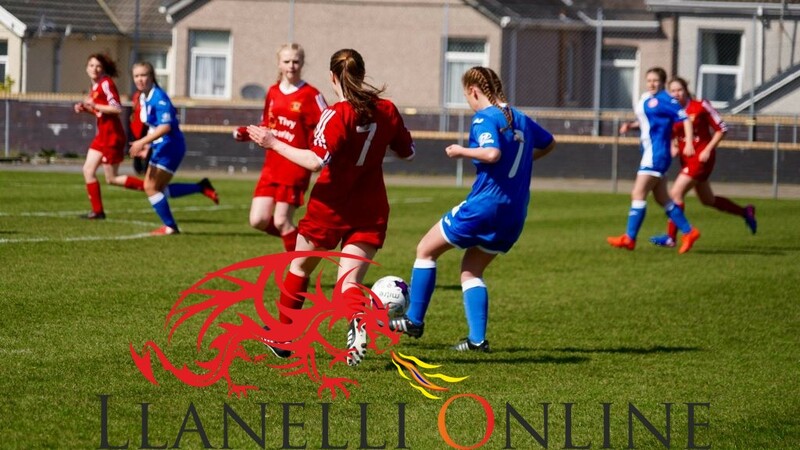 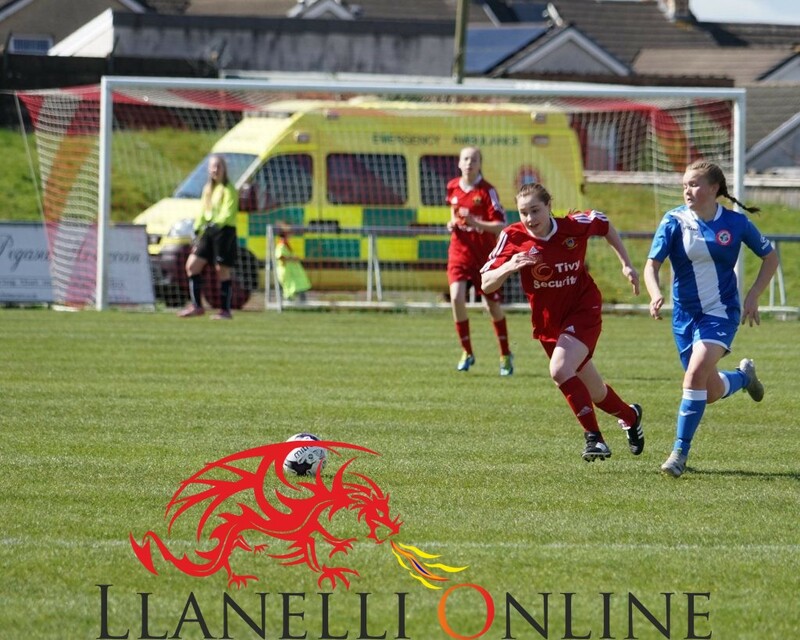 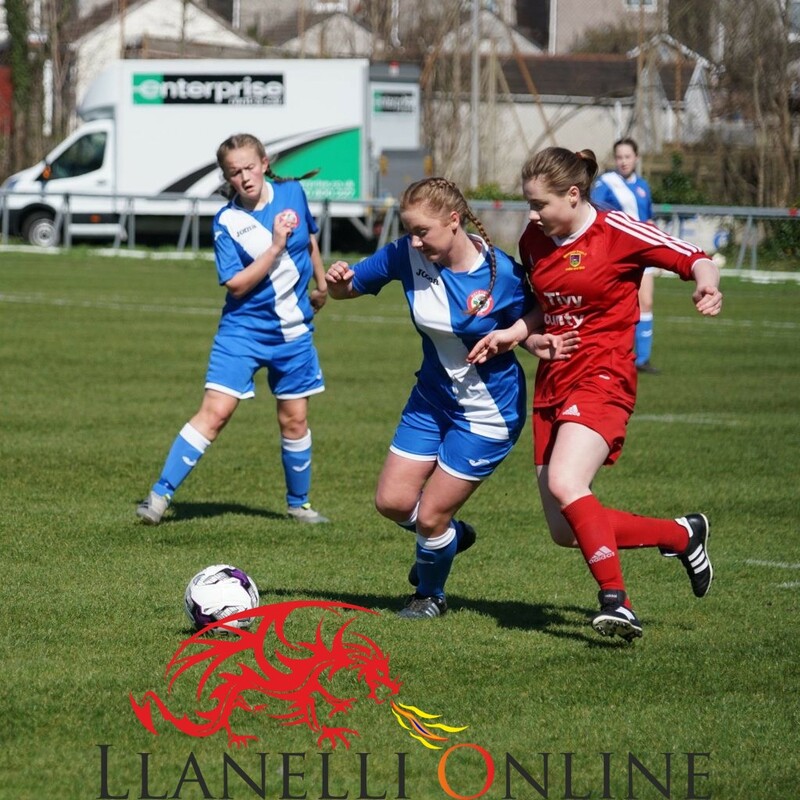 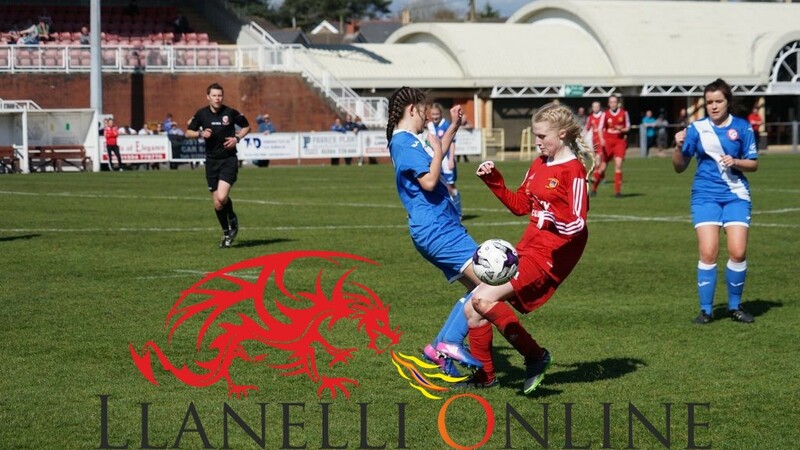 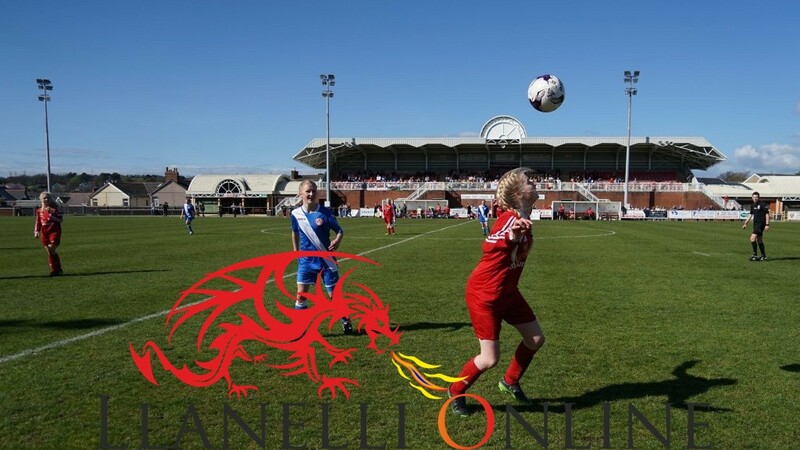 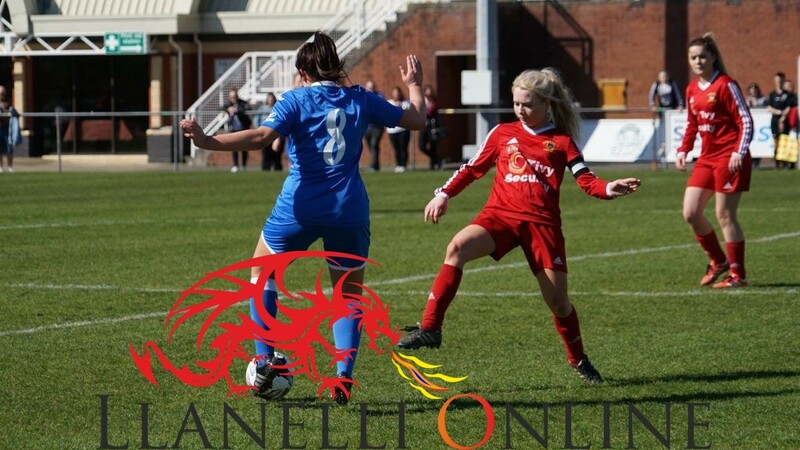 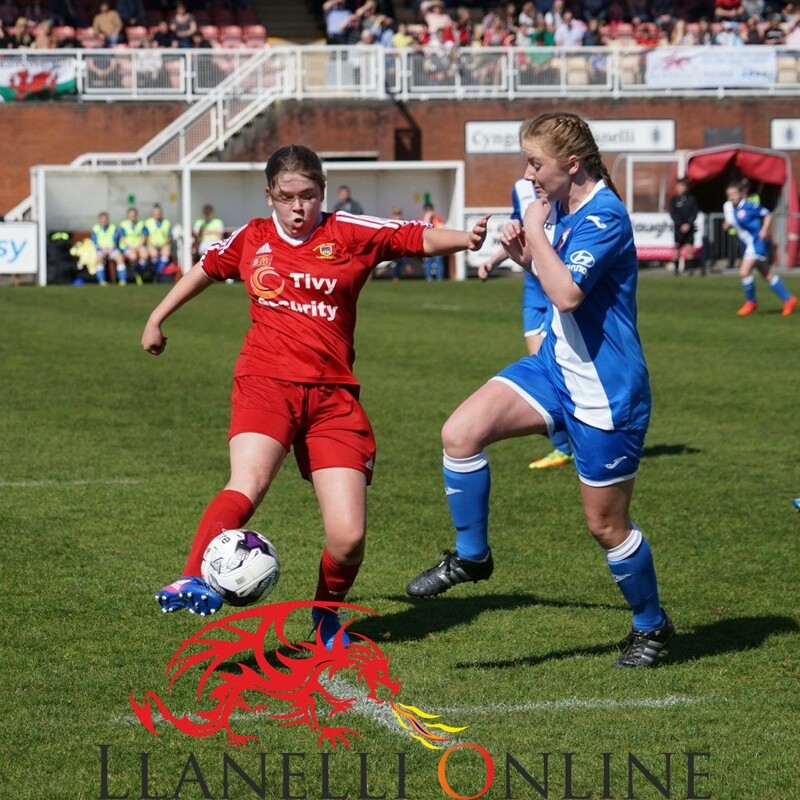 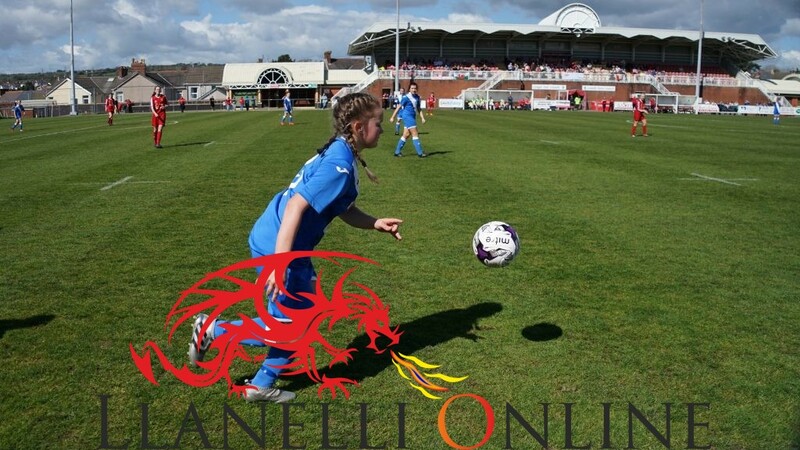 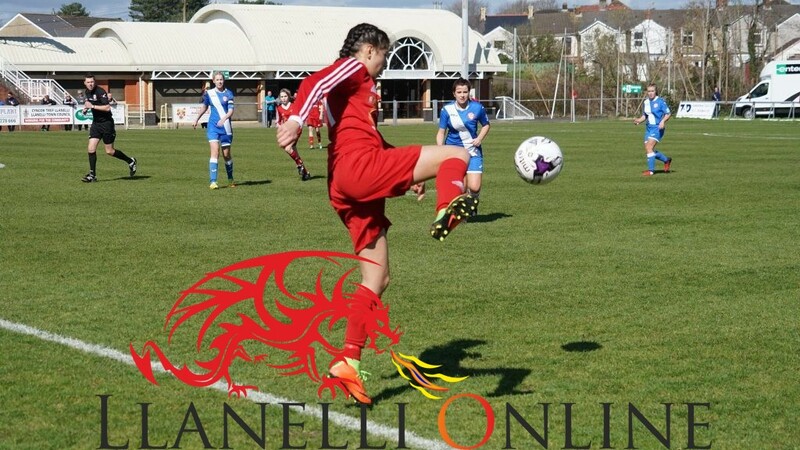 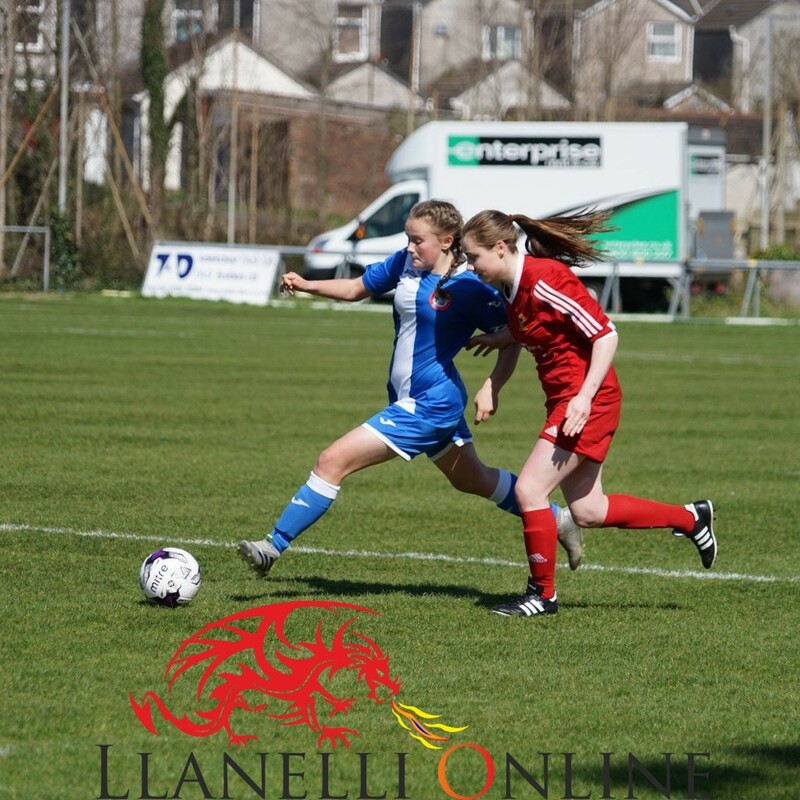 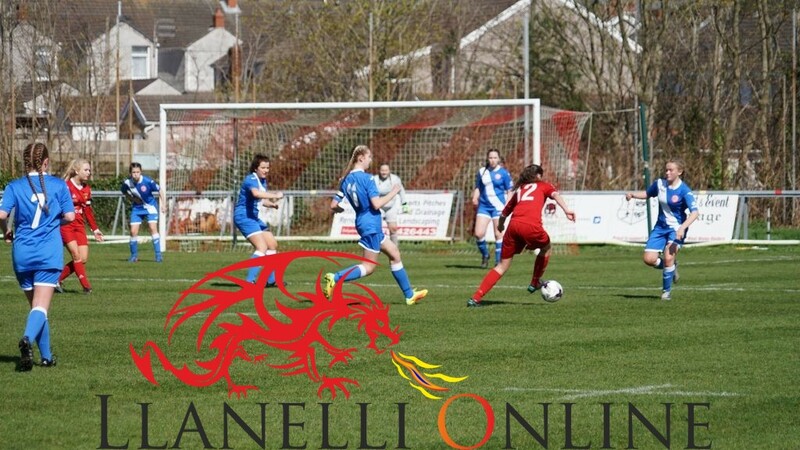 Emlyn captain Elysha Jones scored a stunning goal from outside the box that went in off the left post, leaving Rhydyfelin goalkeeper Caitlyn Facey helpless. 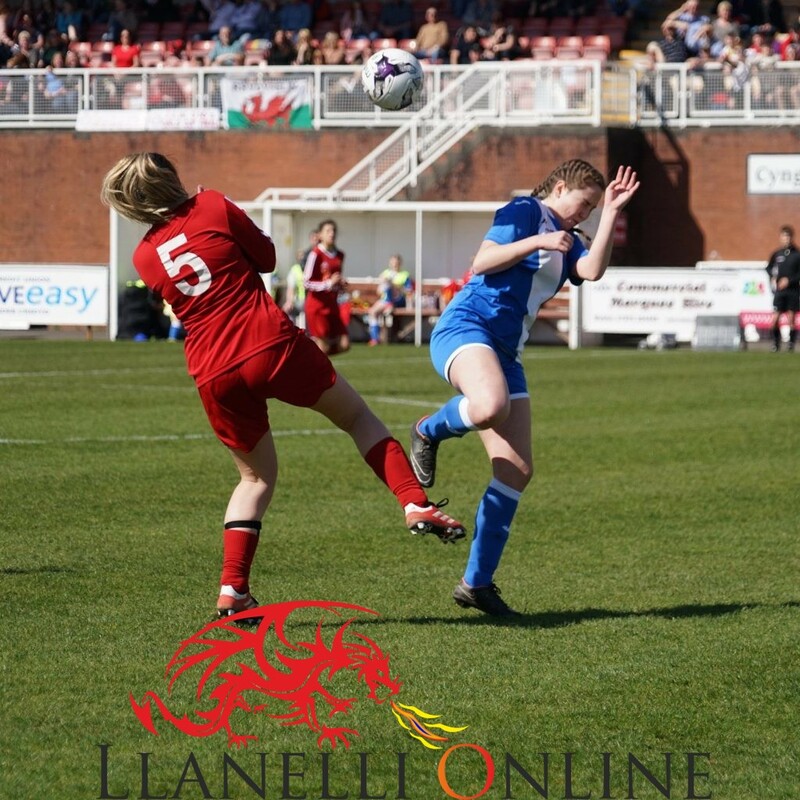 Almost immediately after, Facey conceded a penalty when she fouled an attacker in the box. 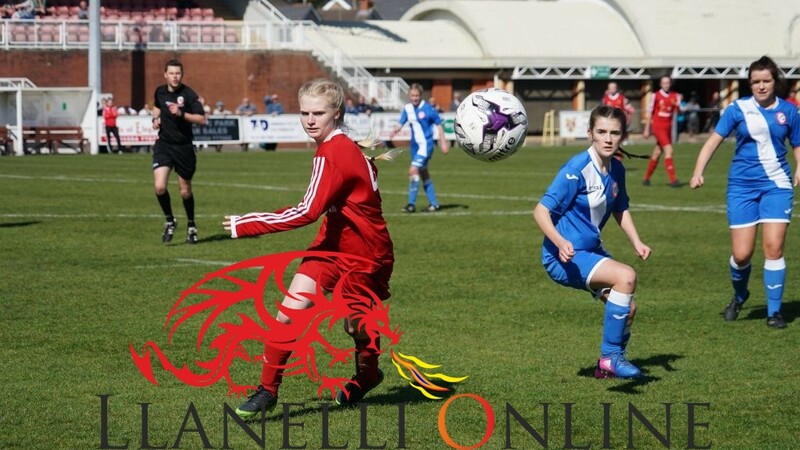 There was no other option for the Referee, other than awarding Newcastle Emlyn a penalty kick. 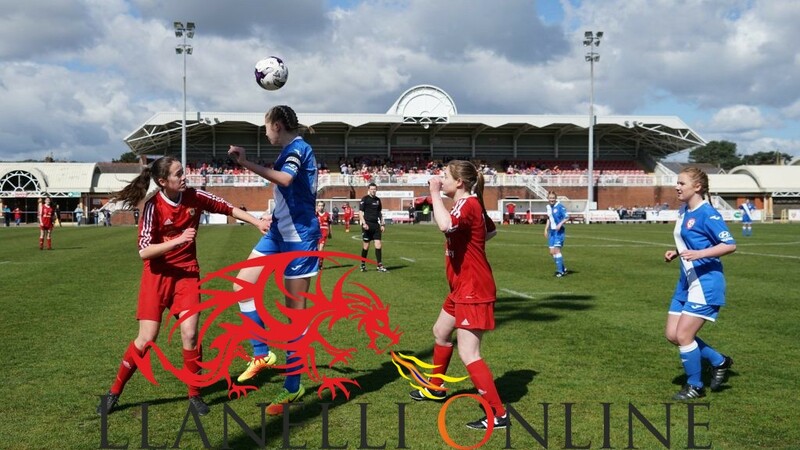 Nieve Jenkins stepped up and excellently placed the ball out of the goalkeeper’s reach. 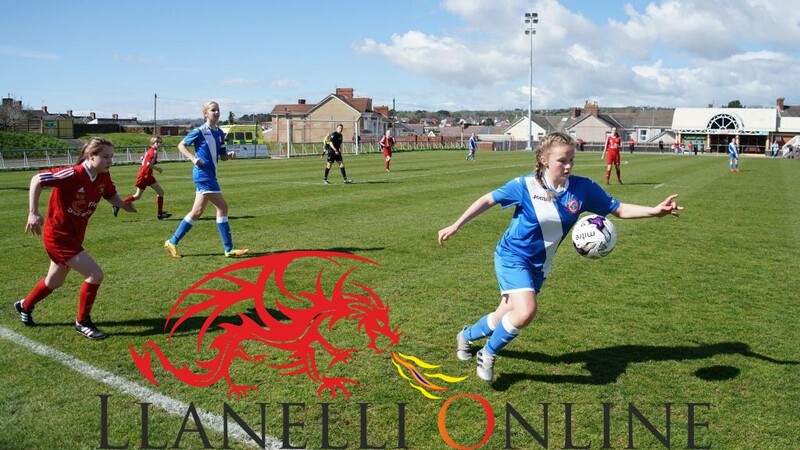 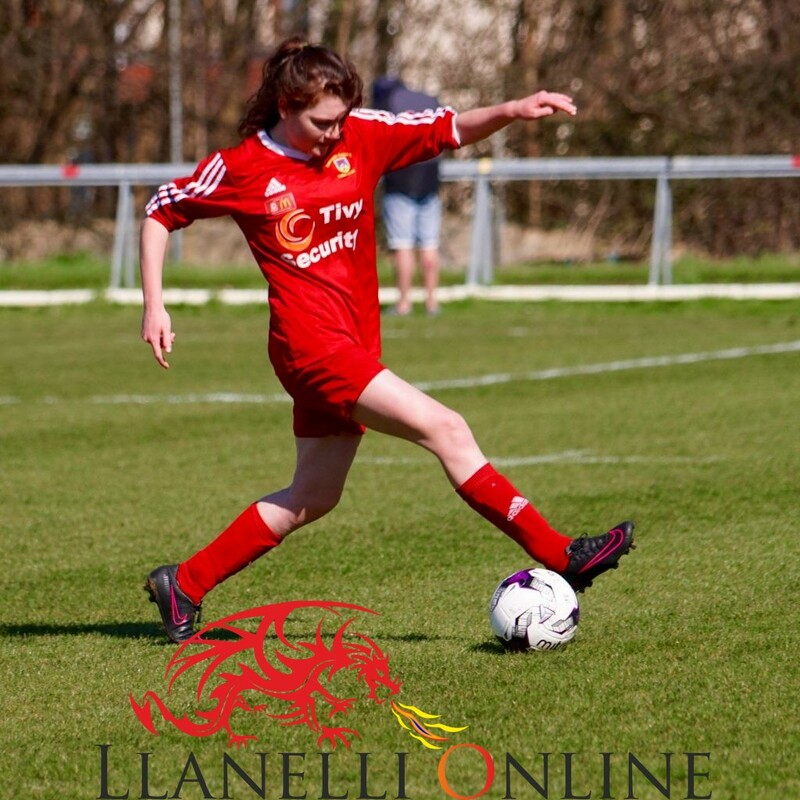 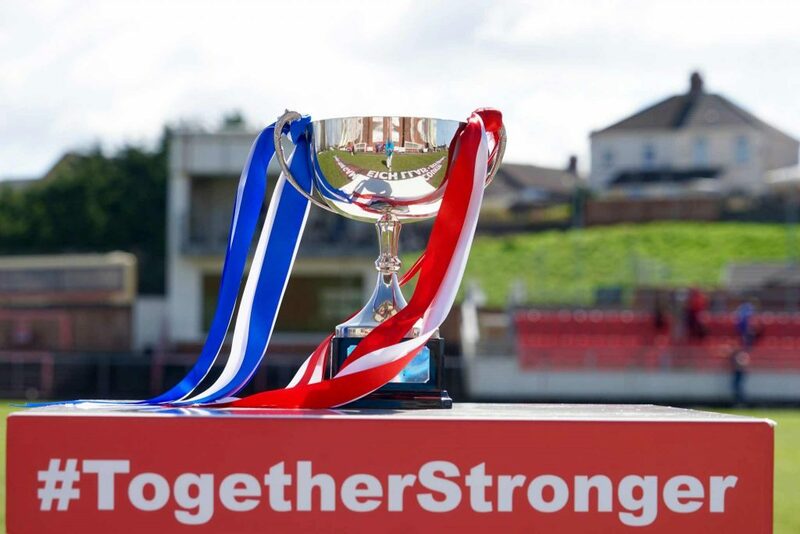 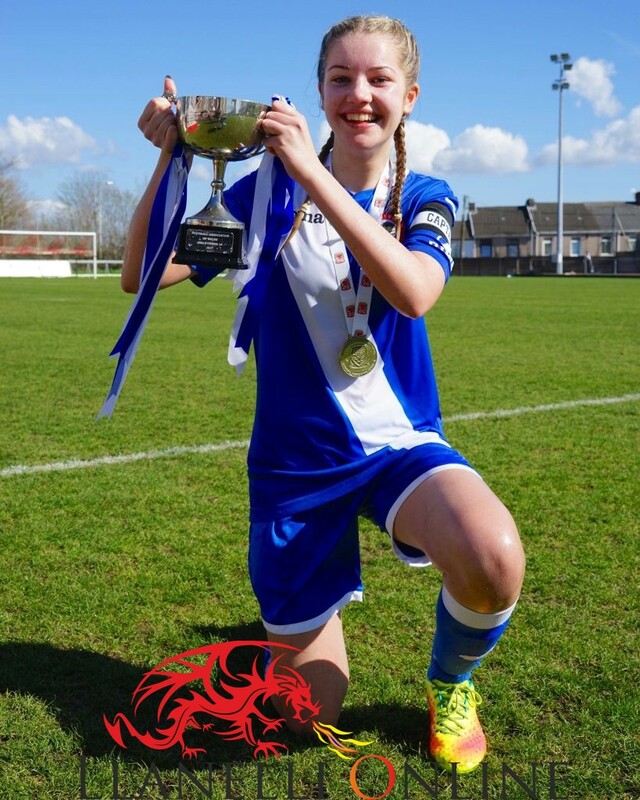 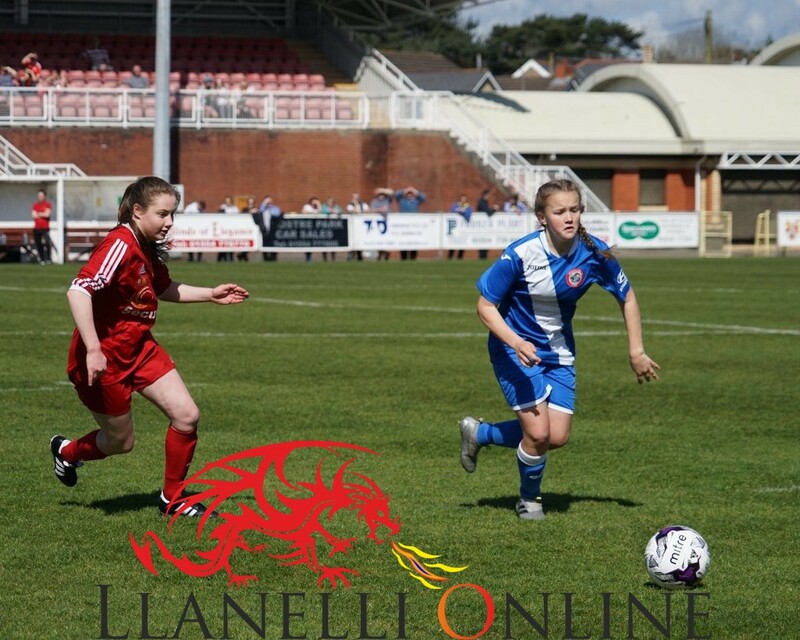 It looked for a brief moment as if the West Wales side were on their way to cup victory and Rhydyfelin really looked out of contention until Jasmine Simpson ended a lovely move up the pitch with a well taken goal to make it 2-1 going into the changing rooms at half time. 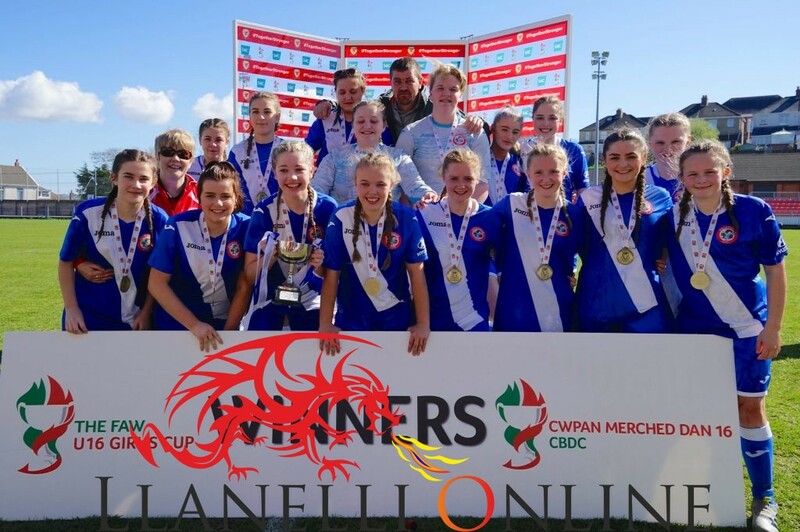 Rhydyfelin played the second half with intensity and they achieved an incredible comeback when some excellent endeavour from Chloe Tiley saw her run through into the box and score, despite some heavy pressure from a defender. 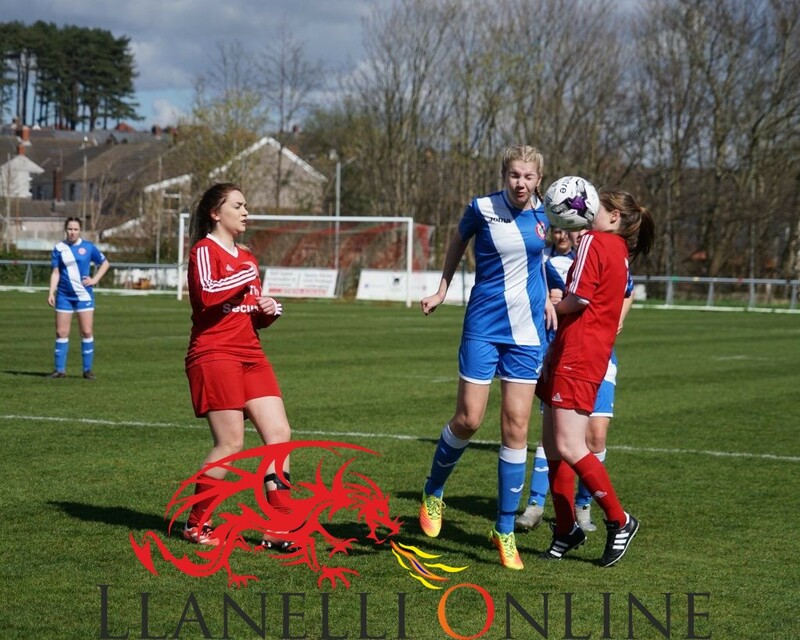 They went close once again when the play re-started but Saran Jones pulled off a fine save to keep the score level. 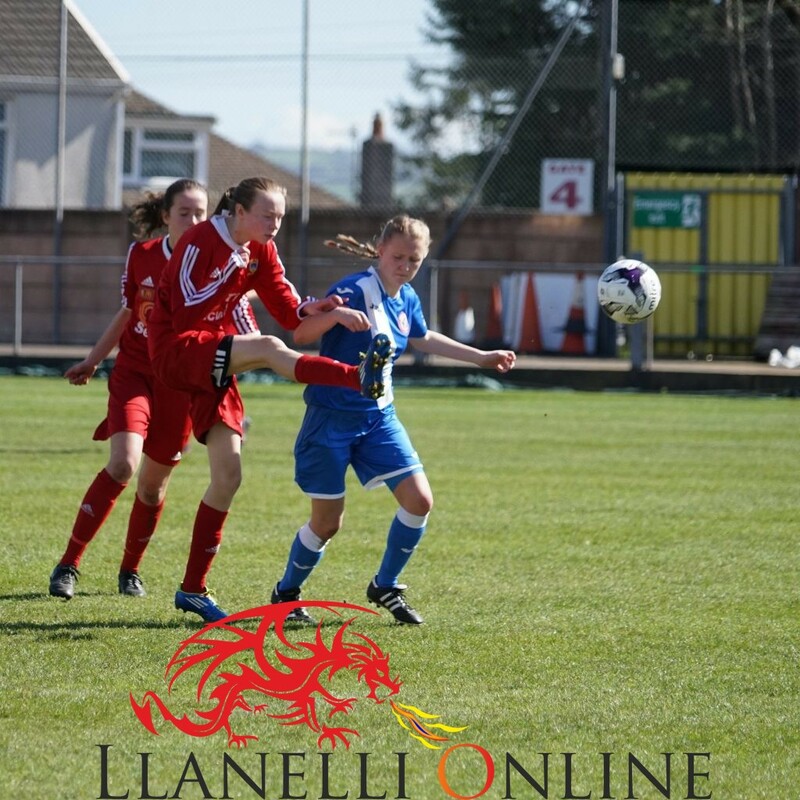 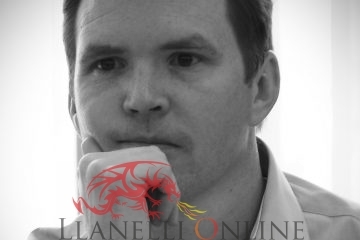 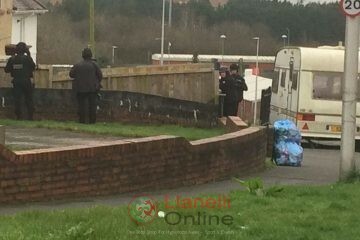 However, Jones was soon beaten by Tiley, who gave Rhydyfelin the lead moments later. 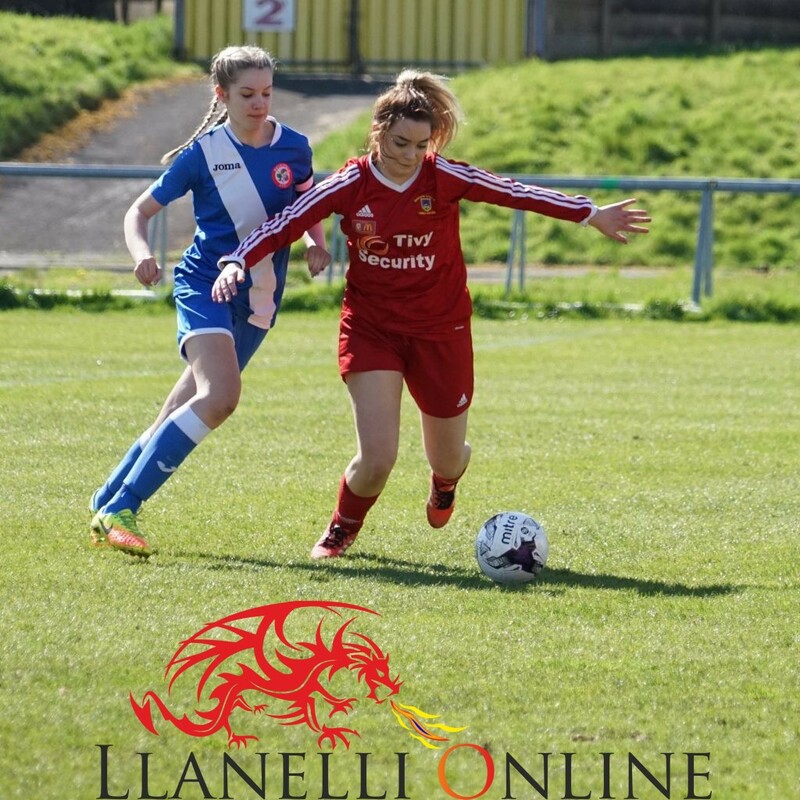 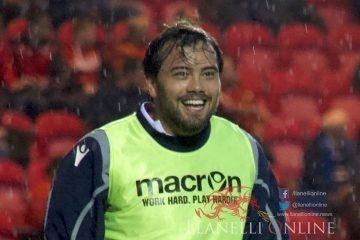 Newcastle Emlyn were struggling to cope with Rhydyfelin and Zara Payne practically put the game beyond doubt in the 56th minute with a 30-yard shot that saw the bounce of the ball lob Jones for 4-2. 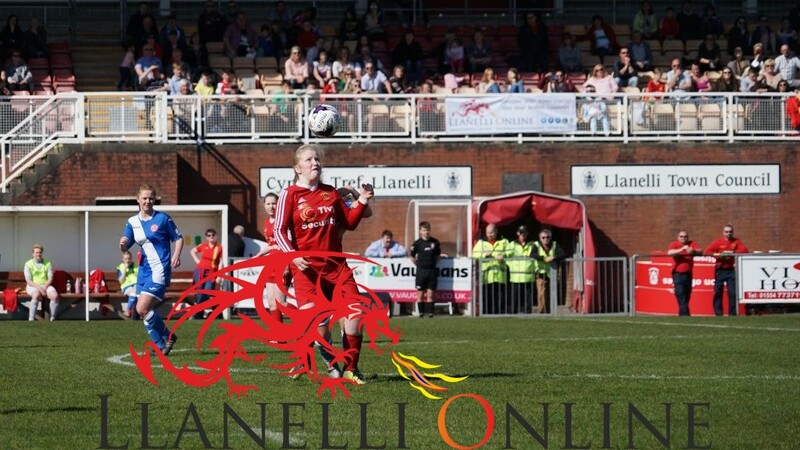 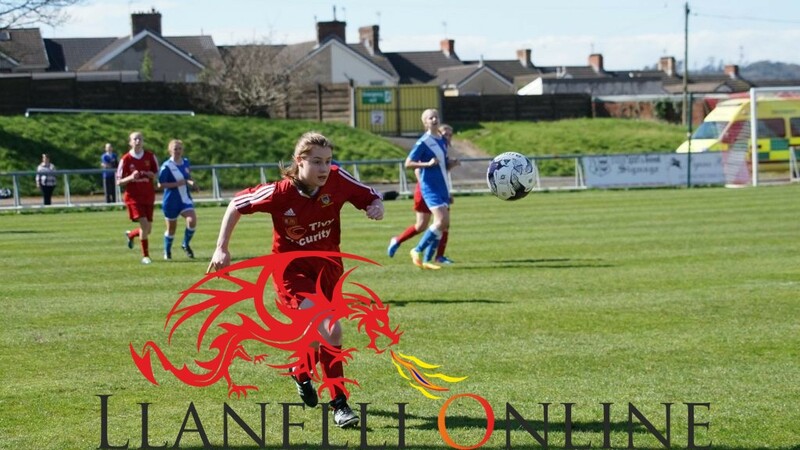 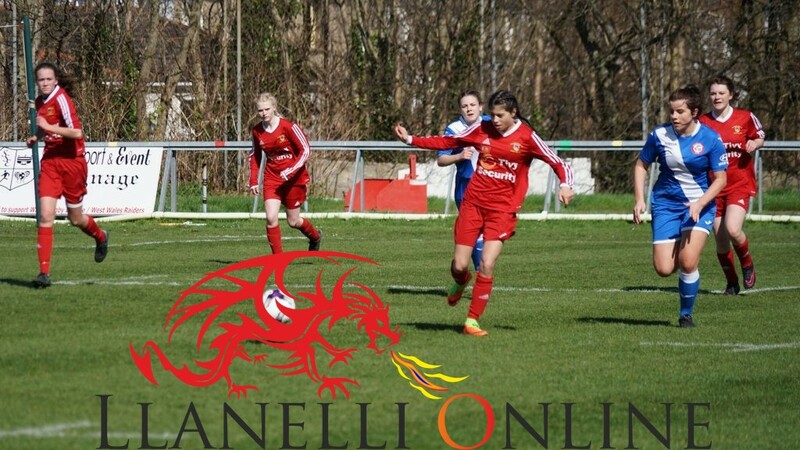 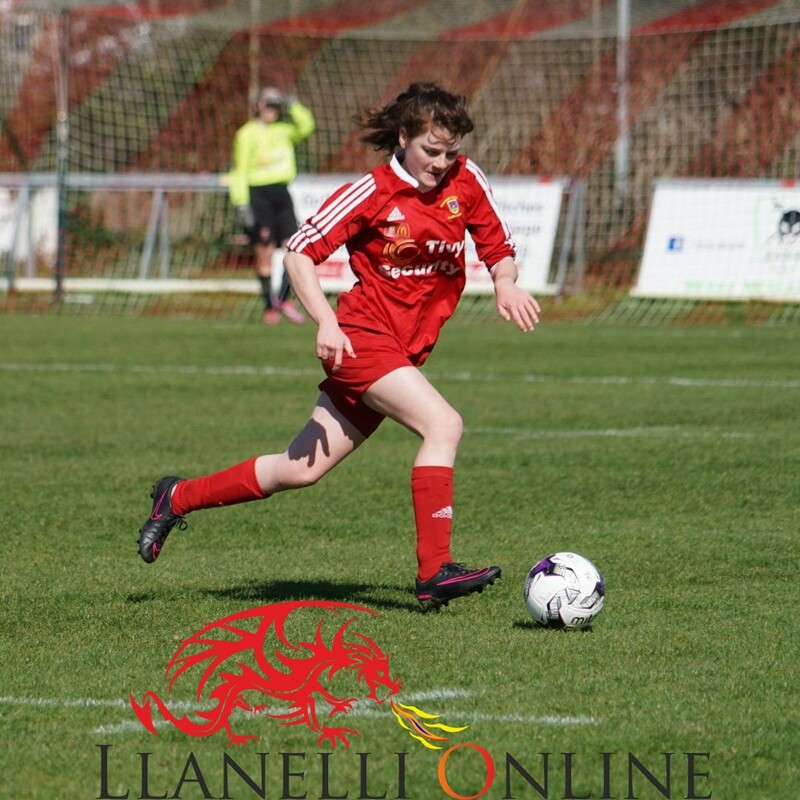 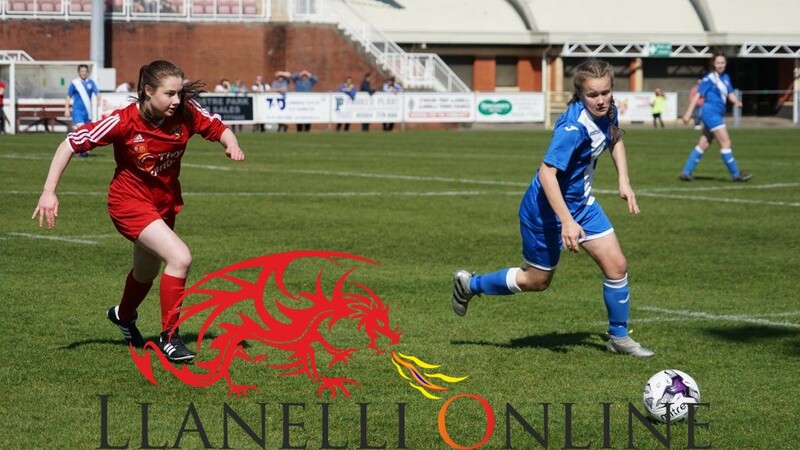 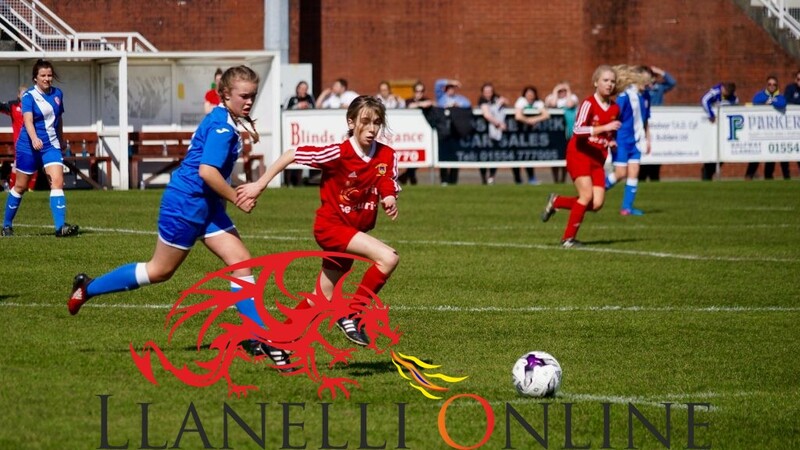 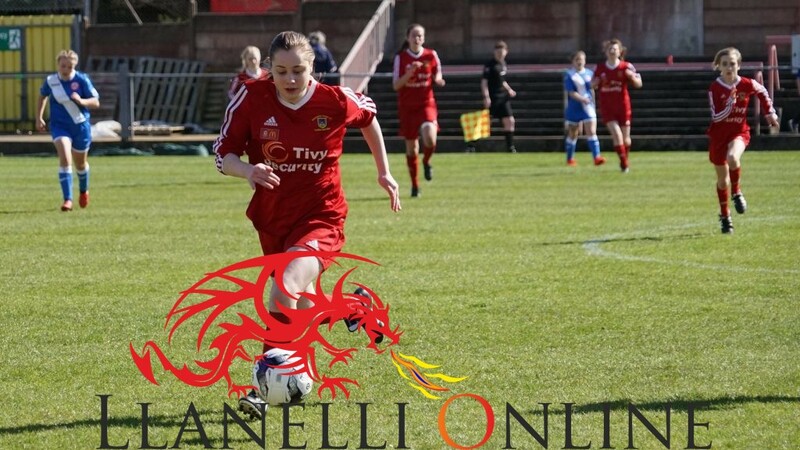 Rhydyfelin wrapped the game up with a fifth goal in added time as Simpson stole through for her second goal of the match. 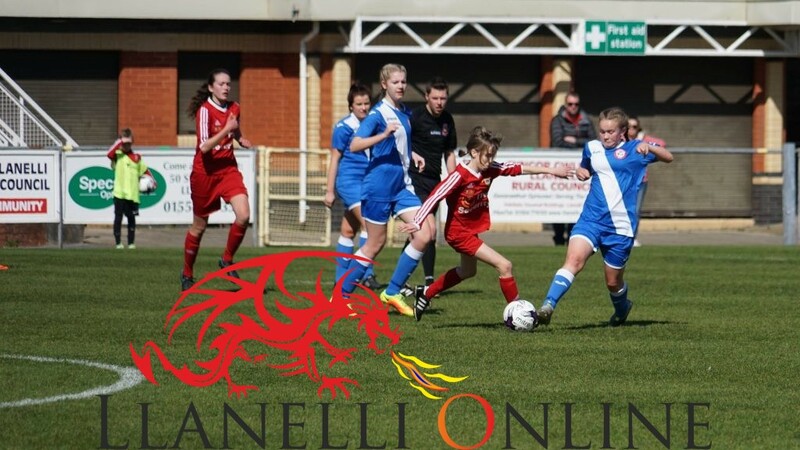 The final score was Rhydyfelin 5 – Newcastle Emlyn 2.